Red eye is a common eye problem that is caused by dilated and swollen blood vessels in the eye. There are several causes of red eyes, some of which are of little concern, others require medical attention. The amount of redness in the eye does not indicate the severity of the condition. The risk factor is typically determined by any reduction in vision and the amount of pain experienced. Red eyes can be caused by exposure to the sun, strained coughing, dry air, allergens, infections, foreign substances and trauma. 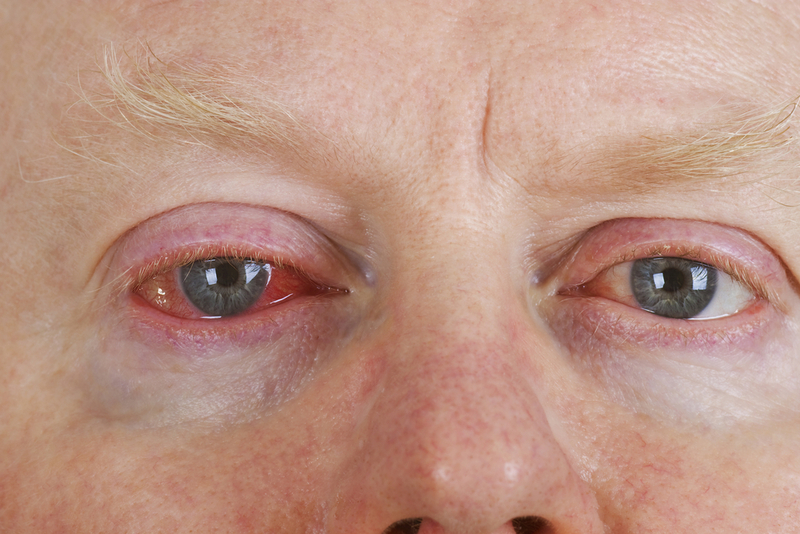 Eye infections that can lead to red eyes include blepharitis, conjunctivitis, corneal ulcers, and uveitis. Blepharitis is caused when skin bacteria inflames the follicles of the eyelashes on the eyelids. Conjunctivitis is an inflammation of the surface of the eye and is caused by allergens, bacteria, and viruses. Corneal ulcers develop on the eye covering and caused by a virus or bacteria. Uveitis is generally connected to an autoimmunity condition, an infection or an exposure to a toxin. It presents as an inflamed uvea, iris, choroid and ciliary body. At VISION EDGE we recognize the importance of offering personal, professional and detailed advice to our valued patients. Dr. Stamper, OD and the expert team of eye care professionals are here to help you with all of your vision and Red Eye Chandler concerns. We’re proud to offer expert advice, the latest frame styles to complement your facial features, lens cleansing and eye glass inspection at no cost to you, as well as quick adjustments and minor repairs. Contact us today to schedule an appointment with our expert eye care professionals. We understand how important your vision and eye health concerns are. Feel free to discuss your concerns with us. We’re here to answer all of your questions, evaluate your eye health concerns, and provide you with the best Red Eye Chandler solutions.